Where we come from, the people we’ve met, the stories we’ve shared – and the dinner table is one of the most universal settings to see a blending of cultures. Such precepts are at the heart of Tillie’s American Nouveau cuisine, where conventional meals are infused with international flavors and cooking techniques construct a new culinary culture. Chef Brandon Martin has created an exceptional menu by using exceptional ingredients. The Tillie’s menu is constantly evolving due to what’s in season and available to the kitchen. 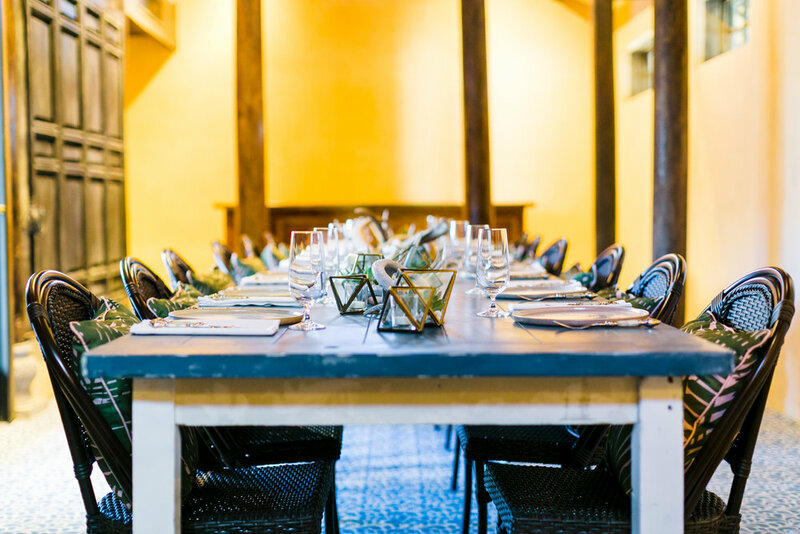 In addition to our main dining room, Tillie’s offers a private dining room, complete with reserved outdoor space, flexible enough to host intimate meals, corporate meetings or rehearsal diners. The meeting space at Mr. Kiem’s can comfortably sit as many as 20 guests. Dim Sum Service | Saturdays and Sundays from 10am - 2pm.